A pre-Black Friday deal? Yes please…. Well, those lovely people at Amazon have heard you. 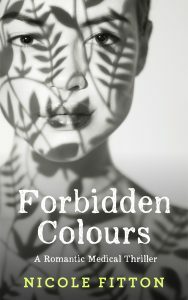 My UK contemporary thriller Forbidden Colours is on sale for a limited time in both the UK and USA. Now that’s what I call good news! It won’t hang around so go and grab a copy while you can. A perfect read for those cold nights – Enjoy!